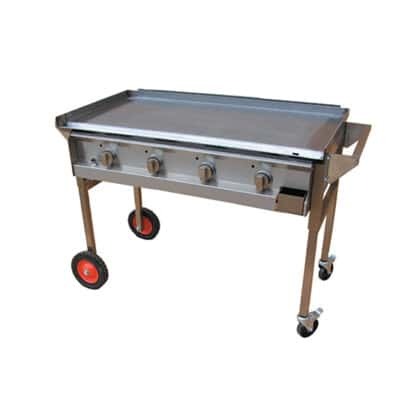 If you are looking for a large volume BBQ capable of handling a lot of hungry folk in a short time this is a great ready-made BBQ unit that can be built in to your camp ground, sporting, club or recreational facilities. 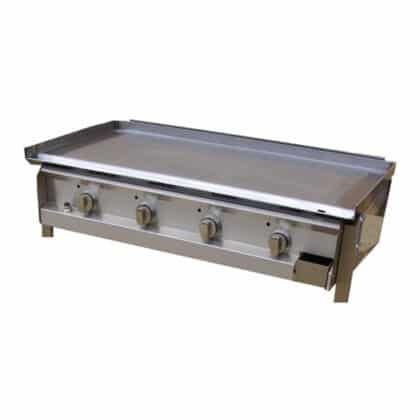 Built around the proven performance of the Hercules Hotplate BBQ this is a strong stylish unit that will suit any clean modern facility. The cabinet is available in your choice of powder-coated colours or stainless steel finish. For more details visit our Finishes page. The BBQ features a huge 6mm thick solid steel hotplate with four strong cast iron burners that provide a high level of heat control along with excellent heat conduction and heat efficiency. Choose between LPG or Natural Gas operation and various options such as a windshield or spatter guard and lid. 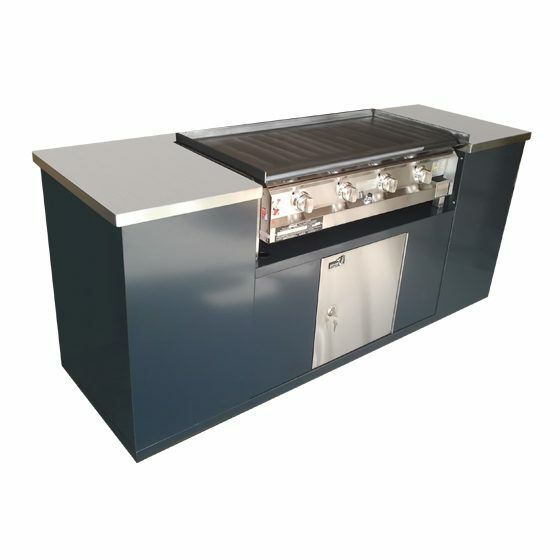 The Hercules Cabinet BBQ is delivered fully assembled for easy installation – why not contact us today for a free quote. The Hercules Hotplate BBQ is available in a cabinet as pictured and also available as a DIY built in model or as a portable model with wheel kit (see related products below).